Entrepreneur First (EF), a company builder that invests in individuals even before they form into teams or have an idea (“pre-team, pre-idea”) recently welcomed its third cohort in Singapore, EFSG3. The third Singapore programme, which helps technical people and business experts to create new technology startups, kickstarts in 29th January 2018. EFSG3 comes straight after a very successful demo day for their second cohort EFSG2, which only graduated on the 16th of January 2018. Faced with such a rushed time, EF turned to Nimbusforwork.com for suggestions on how to improve the cohort’s experience when they show up on their first day at their new workplace at 32 Carpenter Street. Nimbus approached the problem with first an understanding of the importance of a founder having a great experience during their time incubating in the EF programme. From there, we conducted some research which suggested having breaks, and how a light snack can improve productivity. Upon discovering that, the Nimbus team prepared a customised pantry solution with a range of snack solutions that cater to their diverse and impressive cohort. It included Roasted Cashew nuts and Charlie’s Fresh Pressed Orange Juice for the health conscious, to classic items like Coca-Cola and Sprite. Our internal research also showed that a clean and germs-free office enables a more productive work environment. Therefore, the team started by first conducting a deep cleaning with high dusting, glass wiping and table and IT equipment sanitising to keep the rooms germs-free and ready for their new tenants. The team also proposed a top-up system to auto stock up items whenever pantry supplies run low. It means the finance and operations team at Entrepreneur First would no longer have to worry about the hassle of manually ordering items or over-ordering snacks which usually cumulates into large expenses if left unchecked. 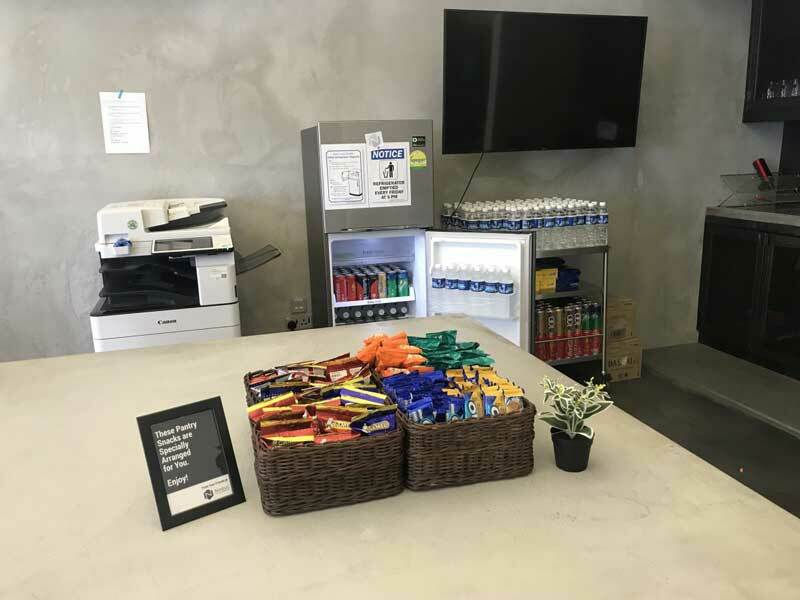 Finally, to delight the new residences of Entrepreneur First, the Nimbus team prepared a welcome snack basket as well as supplied and built a kitchen trolley table for easy snacks and cup storage. The tables, of course, were also fixed by our Nimbus handyman service. Thanks to the efforts of the Nimbus and our client, Entrepreneur First, the third cohort team at EFSG3 were able to quickly settle down into their new environment and begin their startup journey. If you’re interested in a fuss-free comprehensive office management solution, click here to learn more about Nimbusforwork.com. If you’re curious about the Entrepreneur First programme, find out more here.